Aromi Liquid to Matte Lipsticks go on like a lip gloss and dry to a matte, velvety finish about one minute after application. 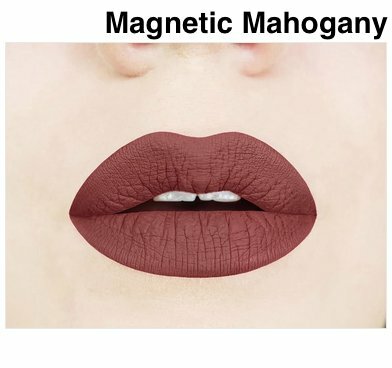 Their liquid lipstick formula is truly unique as it is a light-weight formula that gives a comfortable, long-lasting, non-drying matte lip. Their Liquid lipsticks are formulated from scratch, handcrafted in our own laboratory, and are made with the finest vegan and cruelty-free raw materials.